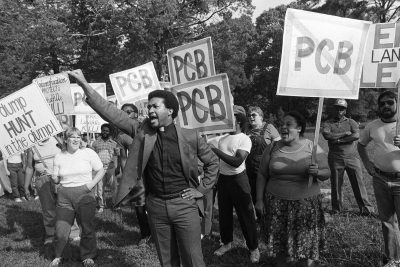 In the Arkwright and Forest Park communities in Spartanburg, South Carolina, residents were living near contaminated industrial sites and a landfill — and dying of respiratory illnesses and cancer at extraordinary rates. They used a $20,000 environmental justice grant from the EPA as seed money to form partnerships with local businesses and government agencies. Those alliances, in turn, helped bring more than $250 million in infrastructure, community health centers, affordable housing, environmental cleanups and job training to the area. In theory, this is right. Federal agencies are required to consider the impacts of environmental and health-related decisions on the poor and minorities anyway — President Bill Clinton mandated they do so in an executive order. But, in practice, that order was vague and didn’t carry the force of law, leaving each president to decide how little, or how much, to do. Now, with the Office of Environmental Justice’s fate in doubt, it’s become achingly apparent that well before Trump, those who purported to champion environmental justice — primarily Democratic legislators and presidents — did little to codify the progress and programs related to it, even when they were best positioned politically to do so. Clinton signed an executive order in 1994 requiring federal agencies to consider environmental justice in all of their policies. He established policies that would allow people the right to participate in decisions that impacted them and ordered an analysis of health and environmental impacts for projects seeking federal permits. He also declared environmental injustice a violation of Title VI of the Civil Rights Act — the same law that sought to end segregation in schools. Now, communities could ask the EPA to investigate environmental discrimination. EPA could strip violators of funding until they got in line. The weakness of the executive order prompted Democratic legislators to sponsor bills almost every year to legally establish the advisory groups created under the executive order, force the EPA to abide by the IG report recommendations, and give citizens the right to sue under Title VI for environmental discrimination. The bills were often championed by Democratic heavyweights — Sens. John Kerry and Hillary Clinton, and Reps. Hilda Solis and Mark Udall — but even when Democrats held the most power in Congress, they never came close to passing. Obama could have created an Office of Environmental Justice at the White House or installed senior advisers focused on the issue at every agency — not just the EPA — to help guide policy. He didn’t. Rep. John Lewis, D-Ga., introduced the Environmental Justice Act in February 2016, with the presidential campaign in full swing and Donald Trump — thanks to a spree of primary wins — emerging as the GOP frontrunner. Even then, the EPA was emerging as a potential target for cuts and regulatory changes. Attorney General Jeff Sessions has banned settlements in cases that allowed companies to fund community projects not directly related to their violations. 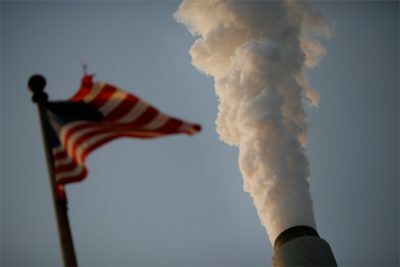 For example, when Harley Davidson was cited for selling equipment that polluted the air, it agreed to give $3 million to an American Lung Association program to help people replace wood stoves with cleaner appliances — a move toward clean air that was unrelated to motorcycles, but would’ve helped low-income homeowners. Last week, the Department of Justice said it didn’t have to pay. “Any settlement funds should go first to the victims and then to the American people — not to bankroll third-party special interest groups or the political friends of whoever is in power,” Sessions said when he announced the policy last month. The proposal prompted the head of the environmental justice office, Mustafa Santiago Ali, to resign in March. The cuts send a message that the opinions and lives of those who live in vulnerable communities aren’t valued — a message that’s clearly intentional, Ali said. Republicans have sought to add language or otherwise prohibit funding for environmental justice initiatives in at least 13 bills since 2006. 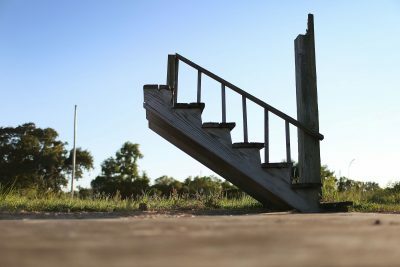 In February, Rep. Sam Johnson, R-Texas, re-introduced his Wasteful EPA Programs Elimination Act, which would cut 13 programs — including the environmental justice office — and close EPA field offices. The goal, Johnson told ProPublica, is to “save taxpayers’ money and reduce the size of a government agency that has grown too big for its britches.” Much of the work of the EPA, including environmental justice, Johnson said, would be better handled by states. Do you have access to information about environmental injustices impacting vulnerable populations? Email [email protected]. Here’s how to send tips and documents to ProPublica securely.